← Team Ico Collection GET! Ni No Kuni: Wrath of the White Witch confirmed for N. America & Europe! Straight from the Level-5 World Conference in Japan & Level-5 International America’s twitter page comes with a confirmation of a North American & European release of Ni No Kuni for PS3! 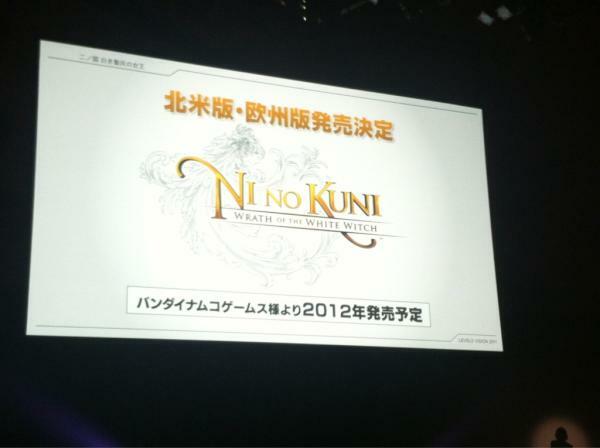 BREAKING: NI NO KUNI: WRATH OF THE WHITE WITCH will be brought to Europe and North America in 2012 by Namco Bandai!